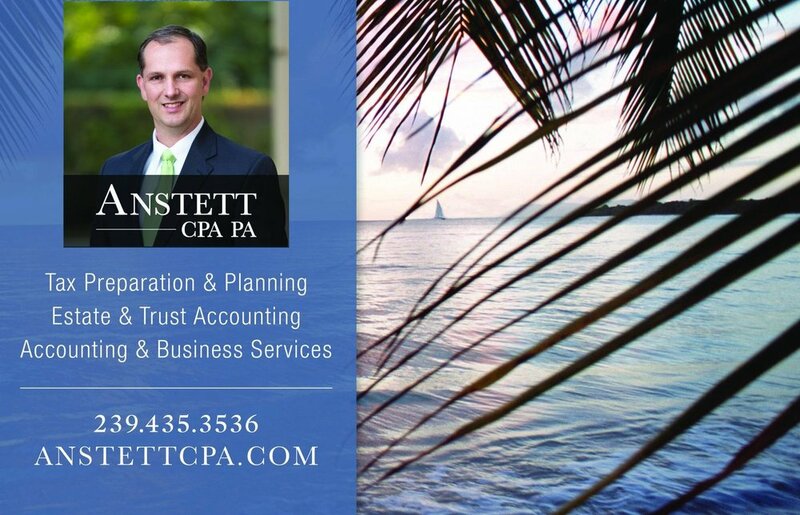 Anstett CPA PA is a certified public accounting firm, which has served clients in Southwest Florida since 2011. We offer a broad range of services for corporations, business owners, executives, and independent professionals. Anstett CPA PA can guide you through a full range of tax return preparation and planning decisions with strategies that minimize your tax liabilities, maximize your cash flow and keep you on track for your financial goals. The Anstett CPA PA business approach is focused on customer service, focusing on a more personal relationship with our clients. Of course, we do the traditional accounting firm services as well. Planning is the key to successfully and legally reducing your tax liability. We go beyond tax compliance and proactively recommend tax saving strategies to maximize your after-tax income.We make it a priority to enhance our mastery of the current tax law, complex tax code, and new tax regulations by attending frequent tax seminars. Founder of Anstett CPA, Robert Anstett specializes in various areas of taxation, from individual, estate and corporate tax planning, to retirement and business planning. Dedicated to cultivating personal relationships, Anstett CPA tailors its services to fit each client’s unique needs. A graduate of Florida Gulf Coast University, Robert holds a Bachelor of Science degree in accounting and a Master of Science degree in accounting and taxation. He became a CPA in 2009. Prior to the inception of Anstett CPA, Robert was a partner in the Naples, Florida accounting firm Sobelman and Anstett, and a former associate at Scullin and Sobelman. Earlier in his career, he honed his skills with the regional accounting firms Hill, Barth and King in Florida, and Cherry, Baekart and Holland in Greenville, South Carolina. We really do appreciate having you as a customer, and we would like to say thank you for choosing us. Please share your experience with Anstett CPA PA.